Hello! Today I have a special triplet mani to share with you. 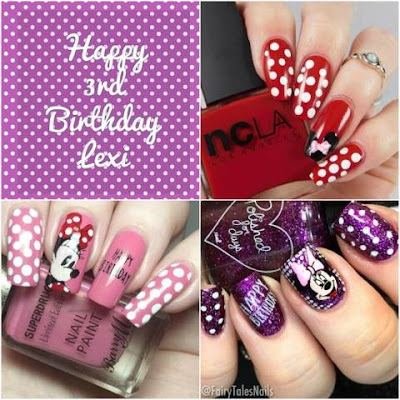 Yesterday was Kirsty's (FairyTales Nails) daughter Lexi's 3rd Birthday. Kirsty asked me and Bethany (BNailedtoPerfection) to do a triplet birthday mani with her, and of course we said yes! Lexi is a lover of all things Minnie Mouse, so that was the chosen theme. Here are our manis. Read on to see my contribution and for more info! I started with a base of Barry M 'Festival Fever', a pink creme with a subtle gold shimmer. This was a limited edition Superdrug release last year. 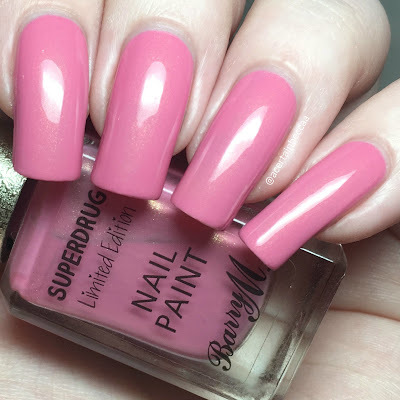 It has a smooth, easy to apply formula and is opaque in two coats. My original swatch of this is a bit dodgy (hello long, uneven nails - see what I mean here), so I took an updated picture. Below is two coats with topcoat. To add Minnie Mouse to my middle nail, I used My Online Shop plate JR-27. I stamped using Hit The Bottle 'As Black As Night' and coloured in using Cuccio 'Pier Pressure' and OPI 'Big Apple Red'. I also used NCLA 'Ask the Magic 8 Ball' to add Minnie's famous polka dots. I added matching white dots to my index and pinky nails. 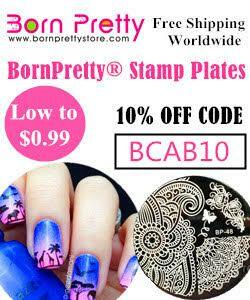 To finish I used UberChic Beauty plate Party Time to stamp 'Happy Birthday' onto my ring nail. What do you think? I absolutely loved this mani, and thankfully so did Lexi! 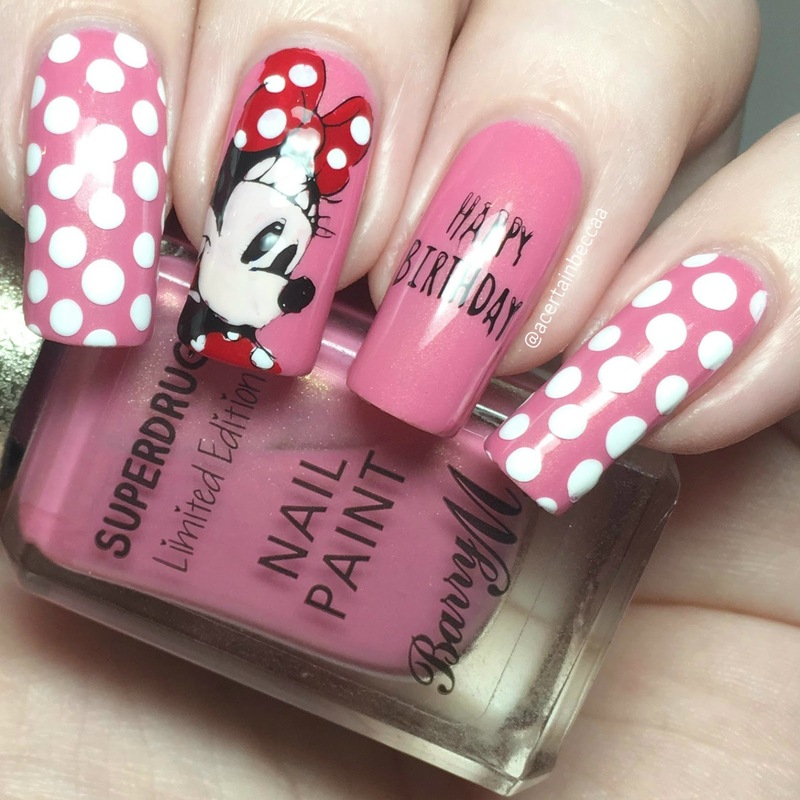 I'm a massive Disney and Minnie fan myself, so I'm secretly a tiny bit jealous that these weren't my own birthday nails. Me and Kirsty also did Minnie Mouse nails for Lexi's birthday last year (post here) - I love seeing how much we've both improved since then! OMG, this is so cute, I am really loving it! But I also dare to disagree with you: your long nails (even when uneven) you used to have a long time ago were (still are and always will be) adorable. There are only a few women in the world which may have such long natural nails and you are one of them!